I didn't realize the competition was on until I saw the invites to attend the finale of it - Samsung Appstar 2012. 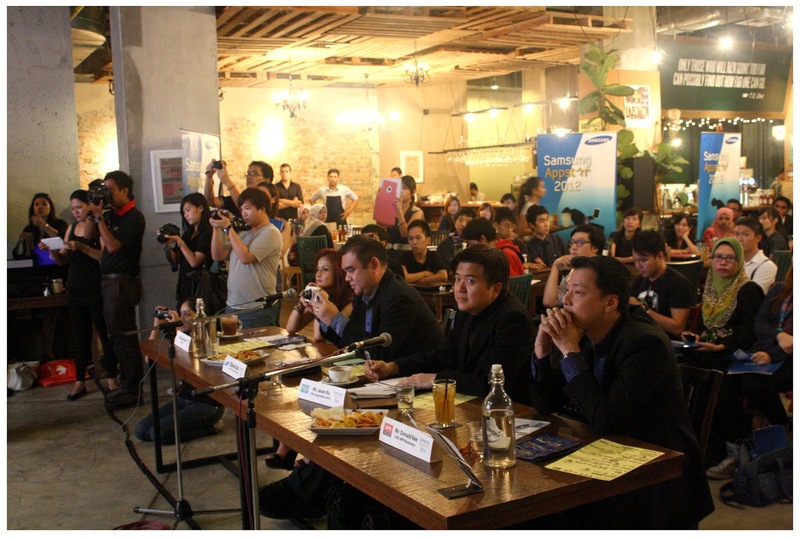 The event held at The Bee, Publika and the finale was attended by so many supporters of contestants that I barely can find a good spot to sit and take photos. Are you ready to find out who is the Samsung Appstar 2012? In case you're as blur as me and didn't know what Samsung Appstar is about, it's a program that's a reality challenge for Malaysian college and university students to express their creativity in mobile phone app ideas. 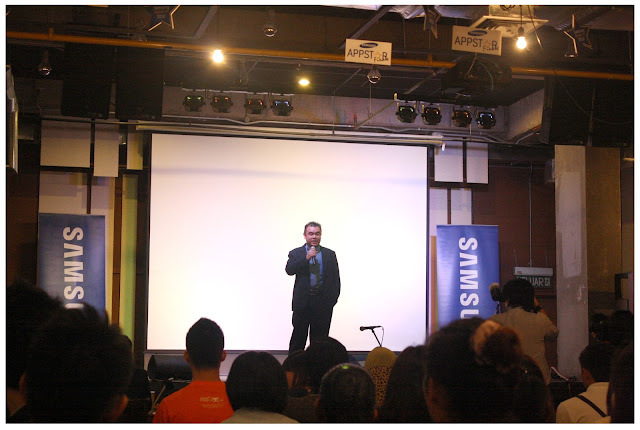 Genres of the proposed app ideas are widely covered such as games, social networking, online purchasing etc which are relevant to Malaysian's lifestyle. 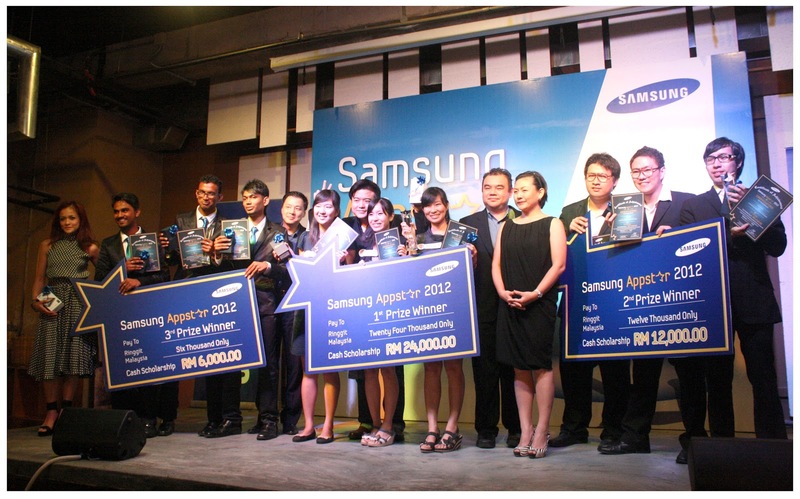 More than 3500 submissions were received in this 5 months long campaign and more than 40 universities and colleges students took part in this campaign, and there, 12 groups were shortlisted as finalists among all the applications and here they are, standing on the same stage competing against each other to win the grand prize of this campaign. 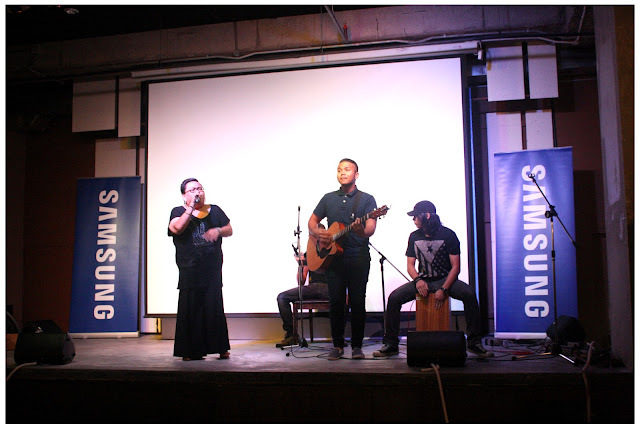 The finale kick started with performance from No Noise Percussions, and dayummmm they are so cool and awesome! 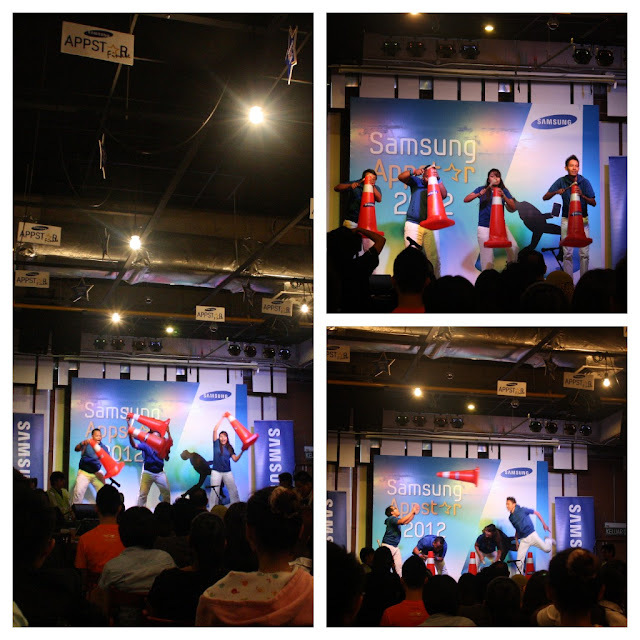 Audiences are so moved by their performance that some started clapping and cheering. Who will thought of performing with traffic cones? After the stunning performance from No Noise Percussions, Mr. Collin of Samsung Malaysia Electronics were invited on stage to gave a short opening speech and from there the final judging session of Samsung Appstar 2012 starts! 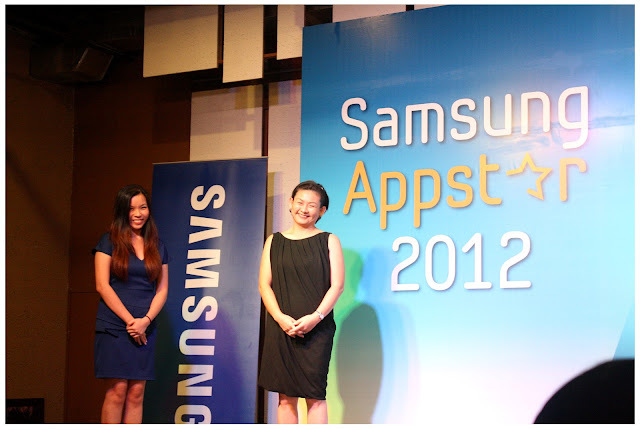 The Panel of Judges, who will determine the winners of the campaign. 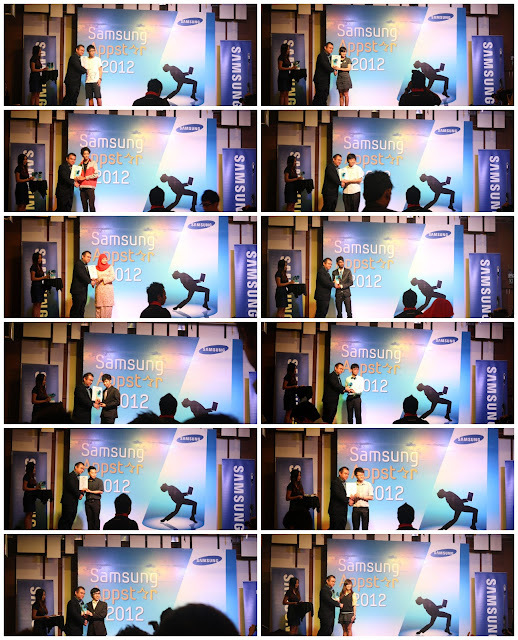 The 12 shortlisted groups were sent to a Samsung Bootcamp where they learn about presenting and marketing skills from industry experts, gaining experience and prepare themselves for this ultimate finale where they all will present their ideas in a professional way. 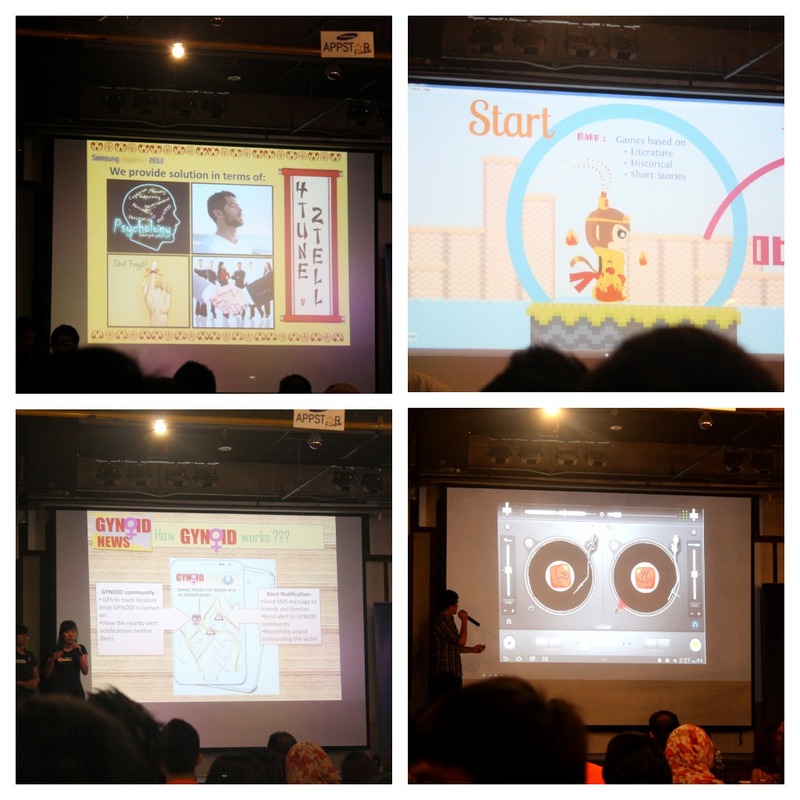 Some of the contestants are quite nervous during their presentations while some are quite good at talking in front of public. They present their ideas with beautifully drawn cardboards, slideshows and short video in order to show the judges and convince them that their app ideas is the most creative and has good selling point. After Group A finalists finish their presentation, there goes a short break for everyone to get food, drinks and toilet breaks. Of course, there's performance by Su and Her Boys and they are Senri's lecturer and seniors! Good performance by them! 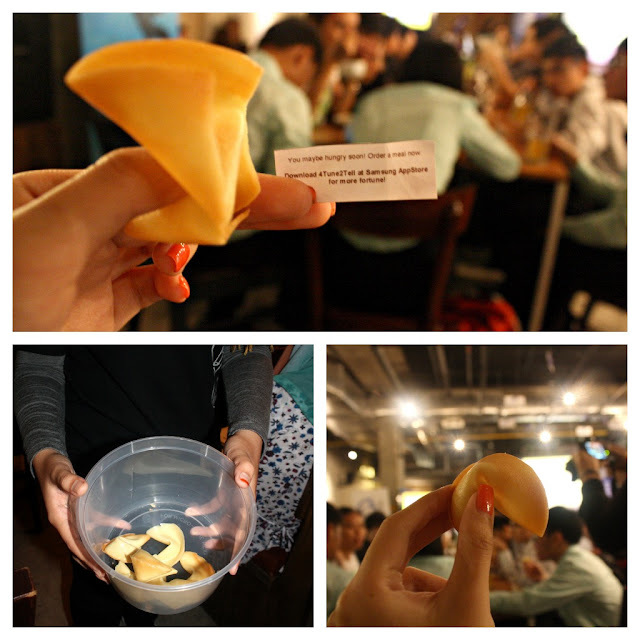 Fortune cookies! Haha! 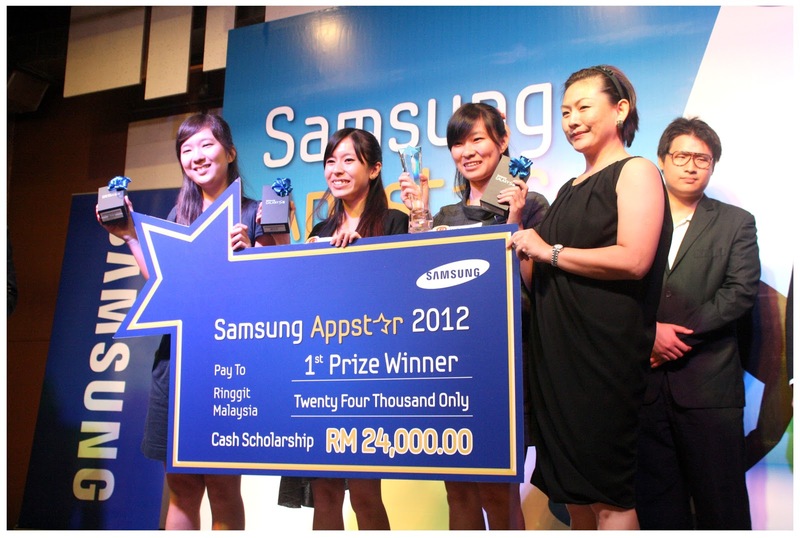 Who would've thought that even fortune telling app idea is in the run for this competition! 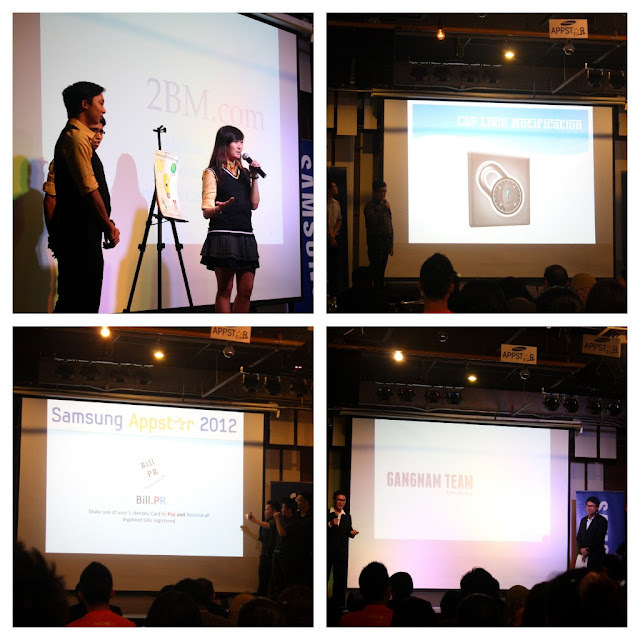 As you can see, the layouts and user interface of the app's ideas are well done by the finalists. After all the presentations done, it's time for the judges to discuss which group is the winner tonight, but before the awards ceremony, Mr. Collin was called up on stage to give each finalist group a certification of recognition and a Samsung Bluetooth as a token of appreciation for the students' hard work and commitment in joining this campaign. 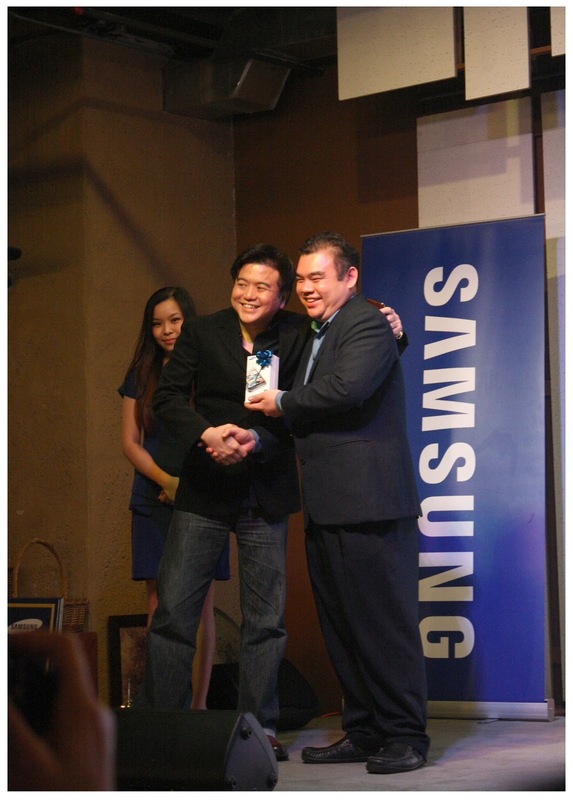 Then, up on stage, comes Samsung Head of Corporate and Branding - Elaine Soh to present the awards that everybody's been waiting for. 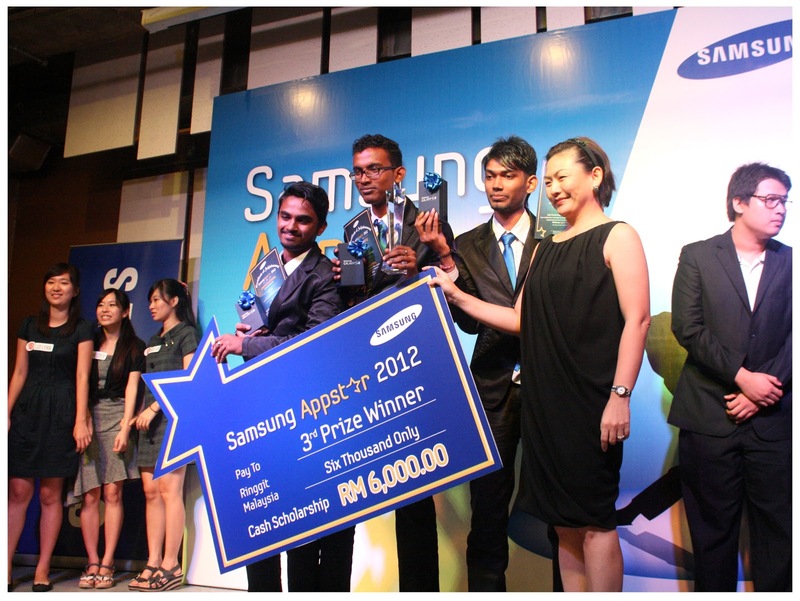 Group Practical Innovation from University of Malaya (UM) got the Most Favourite Award which is voted on Facebook. 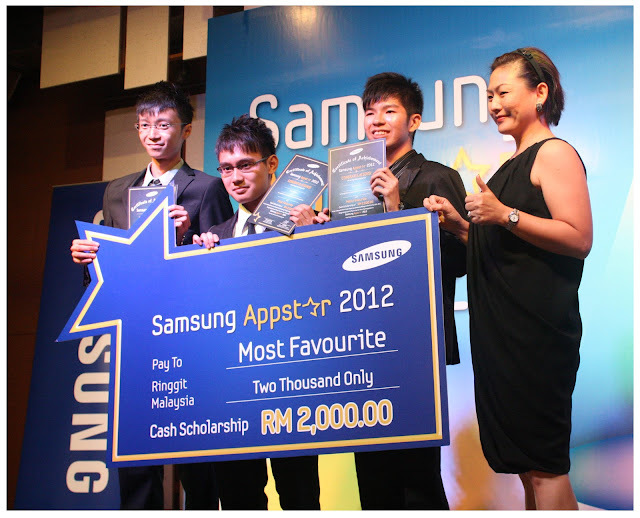 They walk away with RM2000 of cash scholarship. Queue-Less is an app which will prompt you when it's almost your turn when you're queuing up in government sectors or banks so you can estimate the extra time you have to do your own chores instead of stay at the place and waits for your turn. Its server will be link to the sectors queuing system to provide accurate time estimation of waiting so users can have extra time to do other stuff before it's their turn. I guess most of the Malaysian will hope to see this app appear in the application store in the future. E-TRAIN (MALAYSIA) is an app that provides information of Malaysia's train routes and schedules as well as online purchasing the train tickets to lessen the long queue of purchasing train tickets at the stations, especially during working hours. It has GPS system that shows the location of the train so estimation of arrival can be done just by browsing the route of the train system. It will be such a good news to all the smartphone users who goes to work with train in Malaysia if this application is created, don't you think so? This application idea struck the team members when they can't recall when and where did they took their photos at. Like most of the mobile phone users who took tons of photos using their phone, it's kinda hard to recall the date, location, events and people you're with when you took the photos. With Ocean Box, by infusing geo-tagging, date, typing and photo-collaging function into one app, you won't forget any special events or date anymore. It is one app needed by the everyone nowadays due to the rising rate of crimes in the society. If you ever found someone following you when you're heading to your car in a car park, or when you're walking home from public transportation stations, GYNOID allows you to record the surrounding sounds or videos of your environment as evidence and it can also send alerts to your friends and family to notify the danger situation you're in instantly by just tapping/shaking your device. Besides, it works with GPS system which let other users that's near to your to detect your location easily so they can send help immediately. It is a platform for woman to voice out their concerns, or advices to other users of the app to make this society a better and safer place to live at. The winning group was rewarded with cash scholarship amount of RM24,000, three units of Samsung S3 smartphone, and their application idea will be made into a REAL application that will be available in the app store. Such a good news for all the ladies as well as man who uses smartphones that are concerned by the situation of the society today. I do hope to see GYNOID appears in the app store as soon as possible! 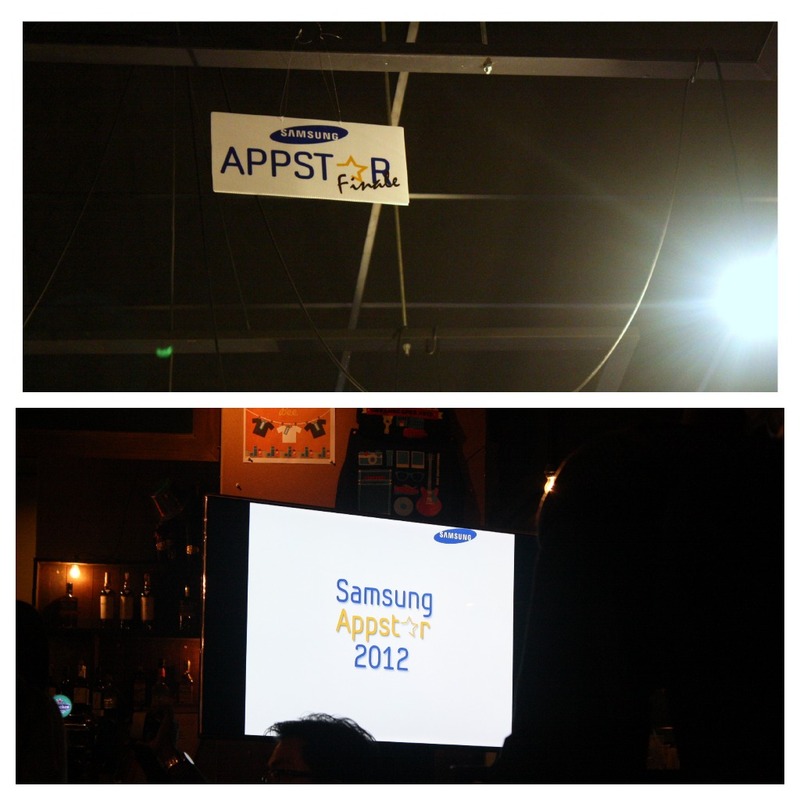 That's a wrap for Samsung Appstar 2012 5-months-long campaign. 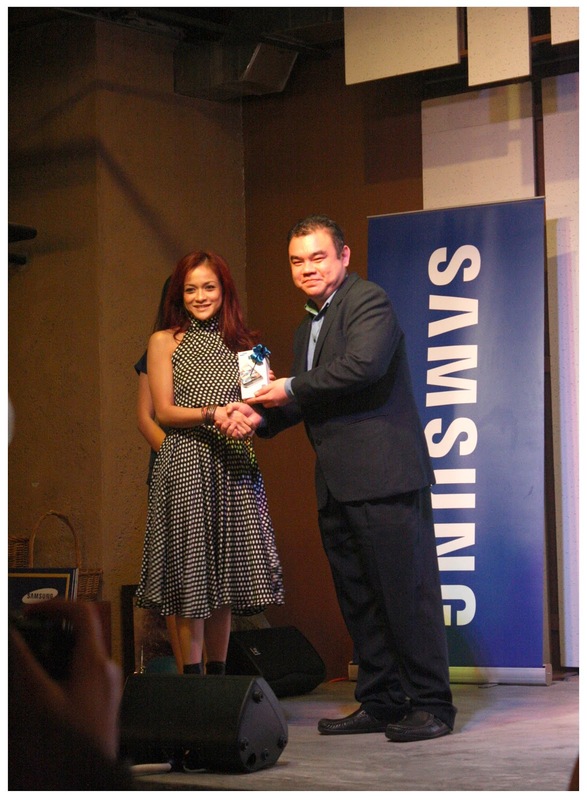 Thank you to Samsung who sponsored all the prizes for the campaign as well as creating a platform for the students to voice out their creativity of creating mobile phone application. It's such an interesting night for me to see how good the finalists are in presenting their ideas and dare to express their creativity. Good job to each and everyone of you. 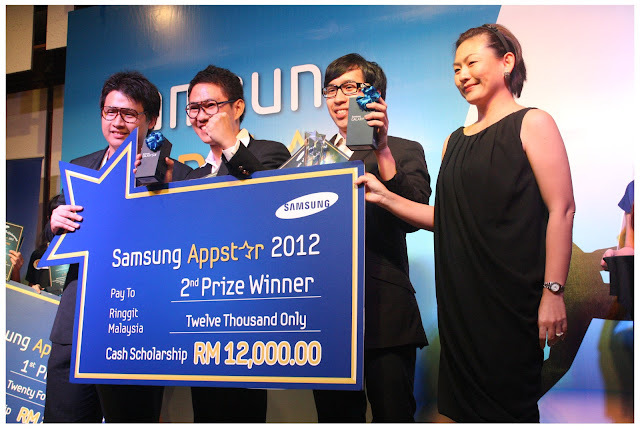 Hope to see more and more creative applications created for Malaysian smartphone users in the future.